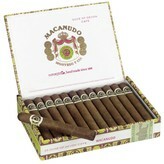 Macanudo cigars are rolled by hand in the Dominican Republic using only premium fillers. Incorporating tobacco from the San Andres Valley of Mexico and bound in premium Connecticut Shade wrappers, you’ll taste the quality craftsmanship in all Macanudo cigars. With its mild flavors and short finish, it provides a smooth smoke that is neither harsh nor overpowering. If you go for a drive today, and you go into three cigar shops or humidors near you, no matter what size they may be, what their clientele may look like, whatever the case may be, so long as they sell premium cigars I can guarantee that they will have Macanudo cigars. 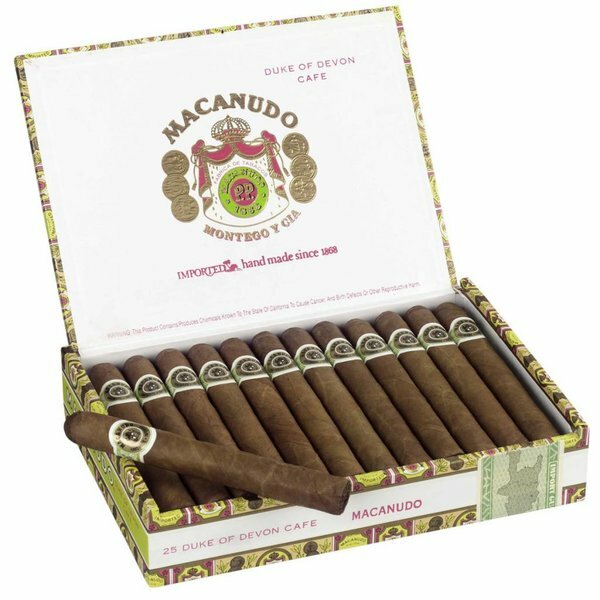 Macanudo cigars are the best-selling cigar brand in the United States, and it is available everywhere, from your local humidor to your favorite online cigar shop that you use to buy boxes on the cheap. One of the reasons that Macanudo cigars are so well-received is that they are so approachable for a cigar. If you’re looking for a great first cigar to smoke, or to introduce your friends to cigars with, then you’re going to want to look to Macanudo first. Their cigars are not only easy to find, they’re also easy and smooth-smoking. So what is it about the Macanudo Duke of Devon that makes it so approachable? The cigar will begin with a mellow Connecticut shade wrapper, then tobacco grown in the Dominican Republic, which will then be mixed with binder from San Andres, Mexico. This comes together to make a mellow smoke with a tasty finish, one that you can enjoy again and again, and one that is a great introduction into the world of fine cigars.